Thanksgiving Pie Giveaway & Party! 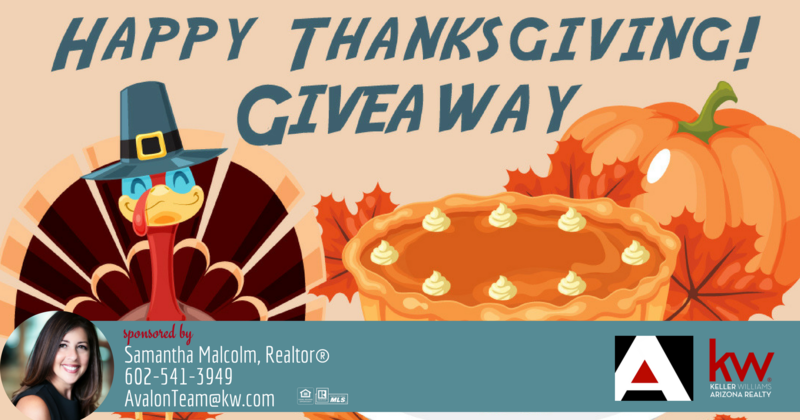 Samantha Malcolm of The Avalon Team is sponsoring a Scottsdale Ranch Neighborhood Pie Giveaway & Party! Come for the FREE pie and stay for the fun! Where: Party will be located on the cul-du-sac in front of 11102 E Bella Vista Dr.
What to Bring: Yourself and the kids! How many will be attending (including yourself and any kiddos)?